Its First Friday! 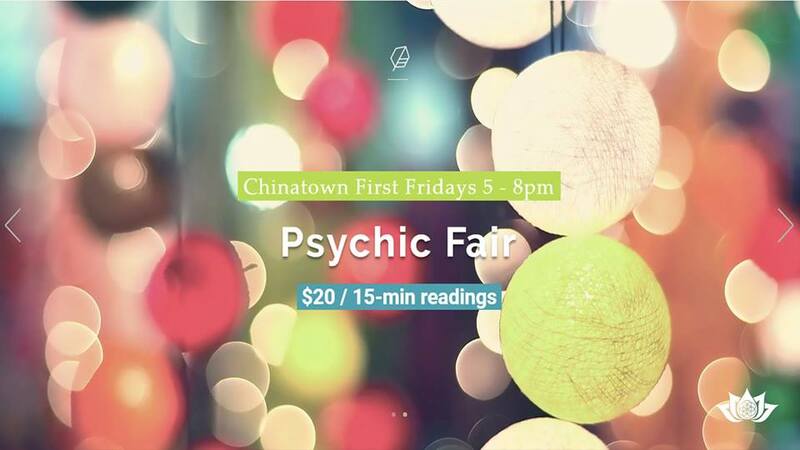 That means Psychic Fair! We will have multiple readers coming! Donna is here to help you explore and release those nagging, hidden and even empty pains you have gathered from this life and past ones. Donna is here to serve you to balance, align and resonate with your highest and best energies and transform to a renewed you. Vanessa believes she is on this planet to help and to serve. A natural born psychic empath she has learned to master her Scorpio energy and tap into the essence that is her old soul. SashilyK has been communing and helping others on their path for almost 19 years. She is empathic and intuitive which helps create connections between the cards and the reader. SashilyK's tarot cards are called Sola-Busca. They are a reprint of the first tarot deck which had artwork on all 78 cards and was structured by 22 Major Arcana and 56 Minor Arcana cards. This is the style that most tarot decks continue to be built even today. Alina was born in the mystical land of Romania. Her origins are strong as she remains closely tied to the traditions of growing and baking your own healthy natural foods, being in-tune with the spirit of the land and the listening to the higher guidance we each have access to. Thus her love of Hawai'i and the similar traditions here. Trinity is a Lemurian and Alchemist within the human form. Together, these souls have access to a massive database of knowledge, codes, multi-dimensional realities, healing, magick, and more. The result is a unified consciousness of Truth, Love, and Abundance. Are you one who understands the depth of your inner being? 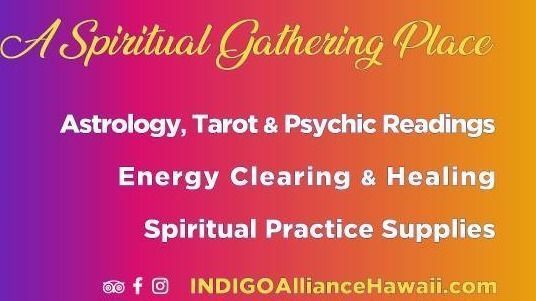 Do you want to connect to ancestors or receive energetic clearing? Are you working on your spiritual practice? ... We're here for you. 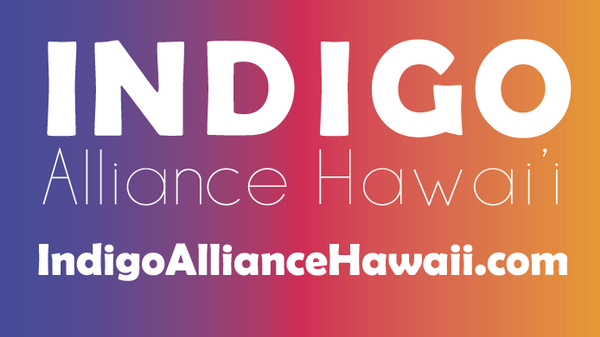 INDIGO Alliance Hawai'i is a spiritual energy center in the heart of Honolulu's Chinatown, hosting two treatment and reading rooms and a small shop with your conscious living necessities.